Redken Styling - Iron Shape 11 (250ml) is made with a Heat Guard Complex to protect your hair against the damaging effects of heat styling. Suitable for all hair types, the lightweight formula won't make your hair feel sticky or crunchy, and won't build up on your hot tools. - L.M. 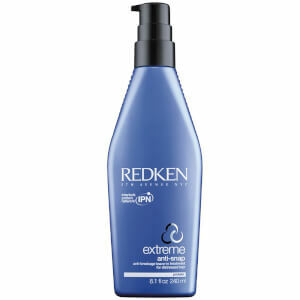 Directions for Use: Apply to dry hair, section by section, before flat ironing, curling or crimping.